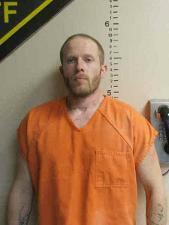 A sentencing hearing is scheduled this Friday for a Keokuk County man charged with attempted murder. Twenty-seven year-old Johnathan James Ray Walker of What Cheer was charged with one count of attempted murder and one count of willful injury causing bodily injury after allegedly stabbing Joseph Bernardo on March 3rd. An Alford Plea was accepted on April 27th from Walker, in which a defendant asserts innocence but admits that the evidence presented by the prosecution would be likely to persuade a judge or jury to find the defendant guilty. According to the Keokuk County Sheriff’s Office authorities responded to a 911 call reporting a stabbing on Highway 22 near Thornburg at approximately 12:40 a.m. March 3rd. Bernardo was transported to the University of Iowa Hospital and Clinics for treatment of multiple stab wounds. Sigourney Police Department assisted with the investigation.